Oriental care : extractions ghassoul + mask and massage with argan oil for all skin types. Specific Support : to purify the skin, exfoliation and mask with Anne Semonin range + Seroma wrinkle. 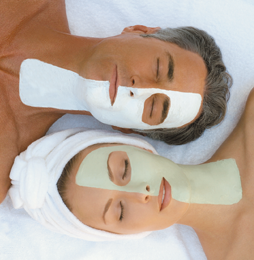 Care Anti-Stress : masks to give a glow to the face with modeling.